Steven Spielberg’s upcoming film “The Kidnapping Of Edgardo Mortara” is now in pre-production and Spielberg is looking for a child actor to play the lead role of Edgaro. A casting call is out for a child actor to play a Jewish Italian boy ages 6 to 9. The story revolves a young Jewish boy, secretly baptized by a Catholic maid who subsequently was taken from his Jewish home to be raised as a Catholic. The talent search is on for a child actor who fits the bill. Casting directors for Steven Spielberg are looking for a child that looks Jewish Italian, however, an Italian accent is not required for the role. The Steven Spielberg movie has quite a few open audition casting calls coming up in various cities around the world including New York, London & Vancouver. Steven Spielberg is helming the film for Amblin Entertainment. 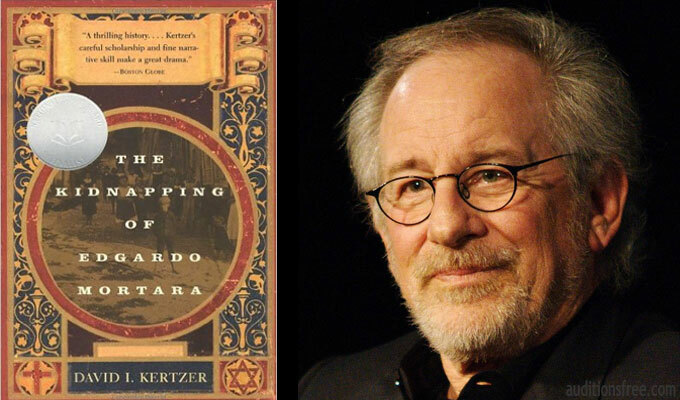 “The Kidnapping Of Edgardo Mortara” is an adaptation of David Kertzer’s Pulitzer Prize winning book of the same name. Tony Kushner, another Pulitzer Prize winner, is writing the screenplay. Oscar winner, Mark Rylance, has been cast as Pope Pius IX. Rylance also has the lead role in the upcoming film “The BFG.” This will be the third straight film Spielberg and Rylance are working on together. This is one of a few projects that Spielberg is working on. Spielberg has an adaptation of Ready Player One (which also held a talent search for child lead roles earlier this year) that is set to be released in 2018 and he will also be directing Indiana Jones 5 as well. Rylance won an Oscar for his role in Spielberg’s “The Bridge Of Spies.” “The Kidnapping Of Edgardo Mortara” is being produced by the same team that did “Bridge of Spies,” Steven Spielberg, Marc Platt and Kristie Macosko Krieger. According to the film’s IMDB page, the production will be filming on location in Bologna and other parts of Italy. According to Deadline, Production of “The Kidnapping Of Edgardo Mortara” will start at the beginning of 2017 and the production is planning on releasing the film at the end of 2017. 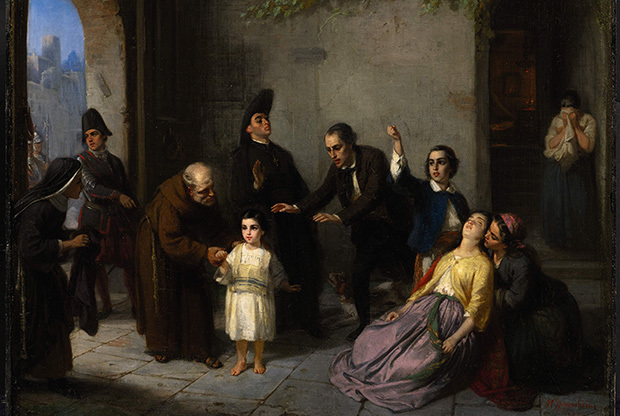 STORY LINE — Steven Spielberg is making a film about the true story of EDGARDO MORTARA – a 6 year old Jewish boy from Bologna who was reported to have been secretly baptized by a maid, and was deemed by the Catholic church therefore to be Christian. Pope Pius IX (to be played by Mark Rylance) decreed that the boy could not remain with his Jewish family. He was seized by the Papal State and taken to the Vatican where his indoctrination into Catholicism began. This was a cause célèbre of mid-nineteenth century European politics and the domestic and international outrage against the pontifical state’s actions may have contributed to its downfall amid the unification of Italy. This is an incredible story of real historical relevance. Subject line: EDGARDO SUBMISSION / Name of boy, your agency, city/state. Body of email: Your agency contact info, boys name/age/d.o.b, city/state of residence, along w/current non retouched photos. Hi! My name is Miguel Joseph Calingasan, 15 years old, I am a Filipino boy and I really want to become an Hollywood Actor. I dont how to be in it. I am trying to find an auditions but I have no idea on how to be in it. I am staying in Las Vegas and I still don’t have any experience in acting but I really am interested. Please help me and can I also ask for advice. I really want to act! Thank you,hoping for your reply. To audition is my dream, please select me.